In 2012, when former VCU Department of Theatre Chair Richard Newdick was too ill to attend a department reunion, past students and faculty colleagues put together a video to let him know how much he was missed. A heartfelt 10-minute tribute, it featured retired theatre professor Gary Hopper summing up why Newdick was so beloved by all those who knew him: "Your talent, your humor, your teaching ability and your love for TheatreVCU..."
Newdick died in 2015 after spending 30 years as a teacher of acting, directing, theater administration and dramatic literature at Virginia Commonwealth University. "He was so student-centered. He was just amazing," says current Interim Chair Ron Keller. "He would spend hours poring over registration records to make sure students were taking the right classes and getting what they needed in order to graduate. And he was absolutely loved. Loved by the students, the faculty [and] the alumni." In addition to giving so much as a faculty member, Newdick was a committed donor to the department. Much of his generosity supported the Richard and William Newdick Scholarship, which he established with a $10,000 gift in 2009. He continued to contribute to the fund even beyond his death, making a significant planned gift. "Because they have such intensive work on the productions and in their classes, our students really don't have enough time to have an outside job," Keller says, explaining why scholarships are so critical to theater students. "It's not uncommon for them to have a 40-hour week on a production. And when we get into tech rehearsals and are putting the shows together to open, it may be even more than that." 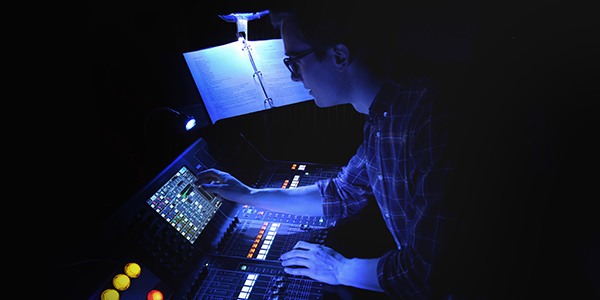 Awarded to meritorious undergraduate students in the theater program who have exhibited outstanding engagement and commitment to theater, the Richard and William Newdick Scholarship has helped nine students since its inception. Three recipients of the award spoke to us in July about their burgeoning success. 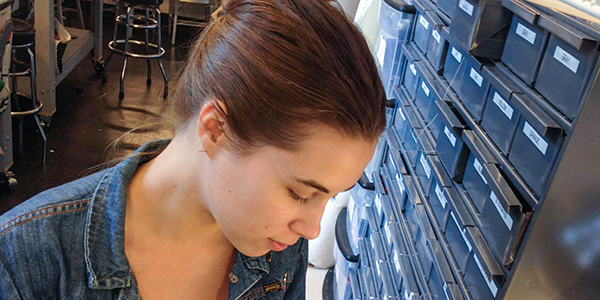 "The dream is to be a Broadway designer or to design in top theaters around the U.S. and hopefully abroad as well," says 21-year-old costume design graduate Willa Piro. "I've got a little leg up, so I think that's not too far-fetched." Piro's first leg up came in the form of the Richard and William Newdick Scholarship, which she received in her junior year at VCU. "It was extremely helpful for paying rent and being able to go to theater conferences and also coming to New York to see shows," she says. After her junior year, it helped finance an internship in New York City, where she interned, like fellow alumnus Curt Miller (B.A. '16/A), at famed arts organization The Public Theater. This summer, she's back - but this time, she's working full time, filling in for the assistant costume shop manager on the Shakespeare in the Park production of "Troilus and Cressida." After that, she will take a position for the rest of the summer as a stitcher in the costume shop for the organization's Public Works event, a huge community performance involving children and adults from all five New York boroughs. "It's really exciting, but a lot of work, to be able to costume about 200 people," she says. This fall, Piro hopes to leverage the connections she has made within Public Theater and around the city to find a permanent assistant costume designer job. "Design is where I want to be," she says. "And New York is where I want to continue to work on my career." "I'm in Central Park right now," Curt Miller says. "My commute takes me through Central Park every morning, so that's cool." Miller, who graduated in May from VCU's School of the Arts, received the Richard and William Newdick Scholarship in his senior year. Not only did it help him with the cost of living while he was in school, but it's also still helping him get by while he's living in New York, he says. He is in New York City as an audio intern at The Public Theater. 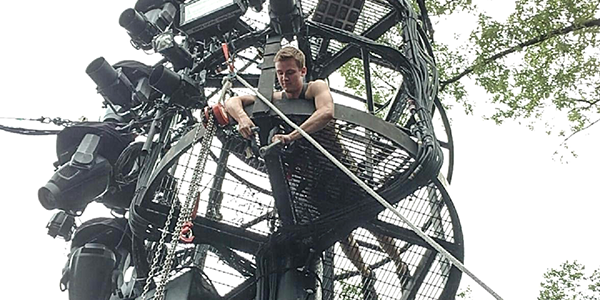 He has been working mostly at its Shakespeare in the Park venue, first on a production of "The Taming of the Shrew" and now in technical rehearsals for "Troilus and Cressida." "They do cool productions here," he says. "They blow the designs out of proportion and really bring some cool things into it." Proportion is one of the biggest culture shocks New York has given him so far. 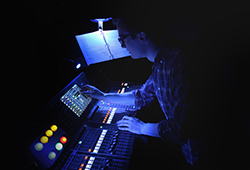 "Technical theater here is a much bigger business than in regional theaters, and I'm not used to working with so many other audio people," he says. "A lot of the skills here are specific to New York theater, so right off the bat it's a learning experience. It's teaching me so much that they just don't really get to teach in school." Life, and work, in the city looks set to continue after his summer internship. Though it's too soon to talk much about it, he says he's excited that a permanent job is "in the works." 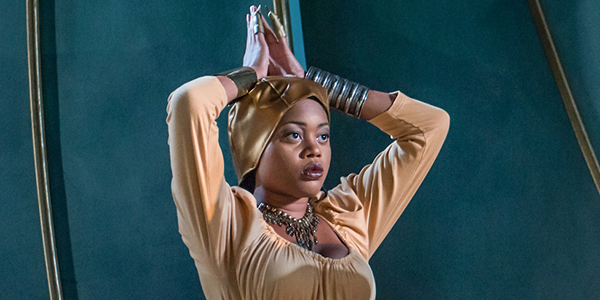 In the summer before she officially graduates, Ciara McMillian is getting her last three credits via an internship with the Contemporary American Theater Festival in Shepherdstown, West Virginia. "The festival focuses on new works," the 22-year-old says. "I'm understudying the main female roles for "Penmanship" by Christina Anderson and "The Wedding Gift" by Chisa Hutchinson, and I am in the ensemble for "The Wedding Gift." I'm working with some of the top artists in our nation." It's a long way from Jackson, Mississippi, where McMillian grew up and where she describes the education system as "failing the kids." After exploring her love for theater at boarding school, she says, the only way she could expand on what she'd learned was by attending college in another state. McMillian chose VCU, but being from out of state, her tuition costs were even higher. So when she received the Richard and William Newdick Scholarship in her senior year, it "helped so much." Taking Solo Performance, for which she wrote and performed her own piece, during her senior year was a particular turning point. "It taught me how to not be afraid to give my point of view as an artist," she says. "To get past the fear and believe in myself." McMillian's education, fueled by private philanthropy, helped her continue to dream big, and now she wants to help others do the same. "In my later life, I would like to start my own school of theater, so that I can introduce people like me, who come from places where there aren't a lot of opportunities, to things that other people may have said they could not do."